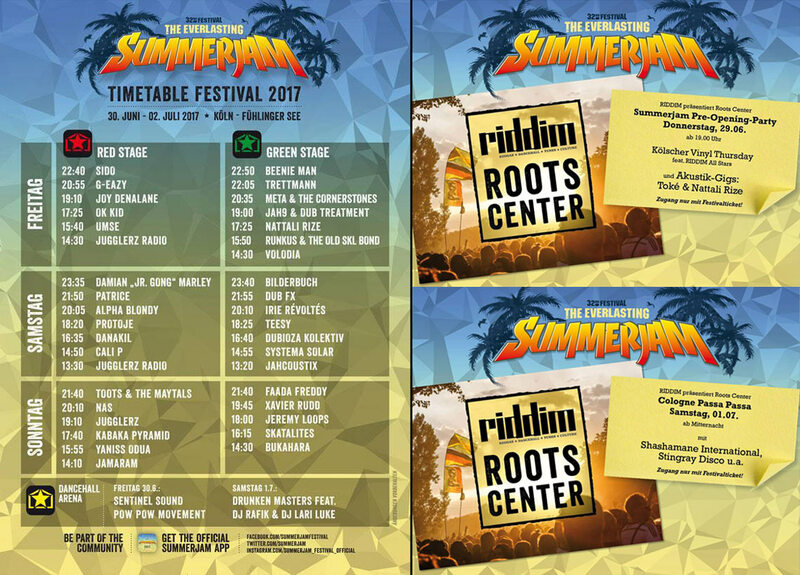 Riddim Magazine presents the official pre-opening party on thursday JUNE 29th at Roots Center (P2). Special guests Tokè and Nattali Rize will perform an acoustic set and the Riddim-All-Stars will spin some vinyls on the turntables. On Saturday night Cologne Passa Passa feat. Shashamane INTL & Stingray Disco will set the Roots Center on fire. The WDR Rockpalast crew will be on spot and stream the RED STAGE on all three days. Log on to ROCKPALAST.de for all details.